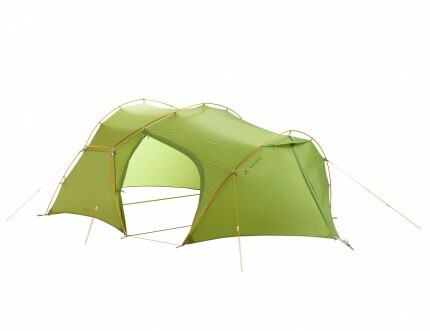 Tent Vaude Low Chapel L XT 2P: Quick to pitch. Very large vestibule. 3 entrances. 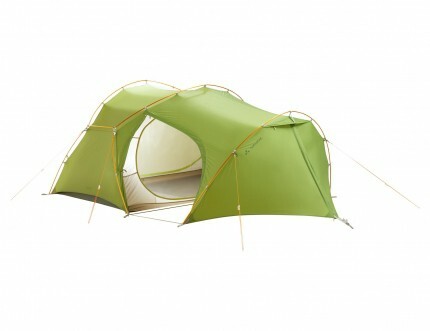 Roomy tent for trekkers and backpackers who want more comfort. Quick to pitch. 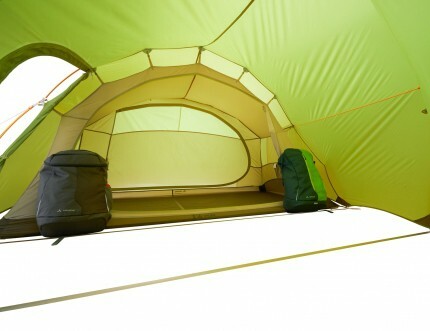 Very large vestibule. 3 entrances. 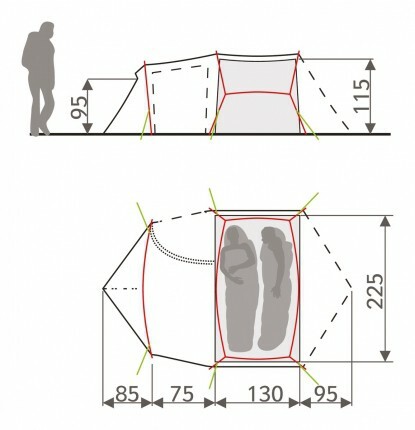 For those who like sleeping perpendicular to the entrance: lightweight, extra roomy 3-season tent with steep walls and 2 entrances for trekkers and backpackers who want more comfort. 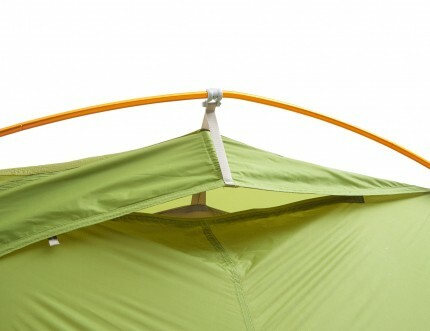 Very fast and easy to pitch, even in rain, thanks to the pre-attached inner tent (double pitching). 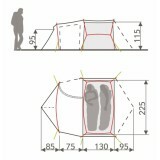 The vestibule is large enough to store large trekking packs and comfortably cook in. 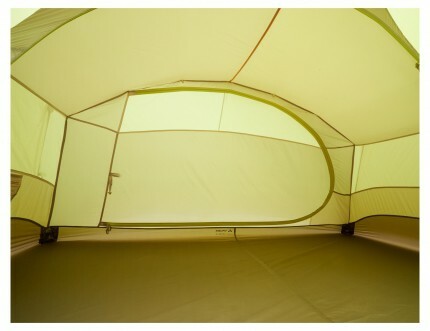 For optimal air circulation you can rely on the slightly curved edges at the floor of the flysheet and the weather-proof vent openings.